And, on this day in 1971, the international aid group, Doctors Without Borders (Médecins Sans Frontières), was founded by Bernard Kouchner and a group of journalists in Paris. In 1999, the private organization was awarded the Nobel Peace Prize, and last year coordinated more than 30,000 personnel — mostly volunteer medical professionals — to treat the poor and war-ravaged population in 70 countries. Visit their website to donate or learn more. 51 years ago today, the Scottish vocalist–flautist–guitarist Ian Anderson formed a blues band named after an 18th-century agriculturist, Jethro Tull. 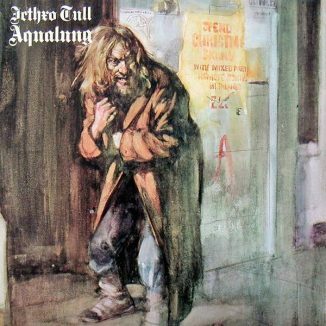 Best known for their signature progressive rock albums Aqualung and Thick as a Brick, the group (which began in Blackpool, England when Anderson was “on the verge of starvation” in a janitor’s job) went on to sell an estimated 60 million albums worldwide.